Earn FREE tickets, VIP upgrades, exclusive merch packages and more by joining our new Boots Fam Program! We’re looking for talented and passionate people to join the Boots Fam Club and help spread that #BootsLife love. Rewards: Earn FREE tickets, VIP upgrades, exclusive merch packages and more! Giddy on up now, Boots Fam! Start by selecting Challenges from the menu. Challenges are action items that can be completed for points! 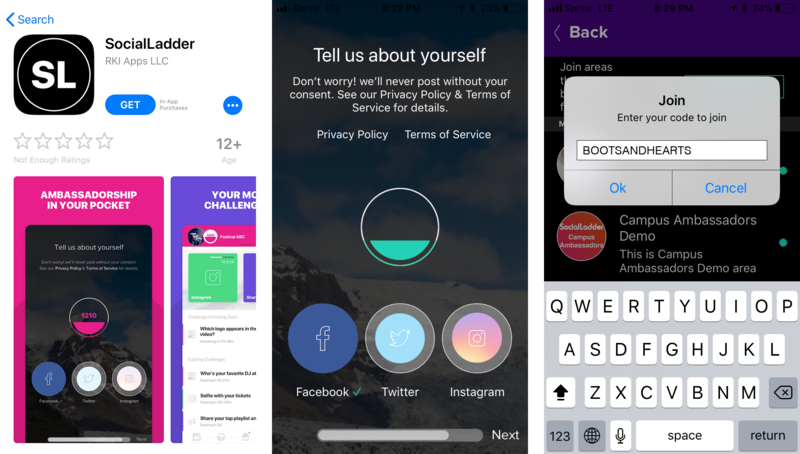 These challenges range from simple social tasks such as “Like A Facebook Page” to more complex tasks such as selling a ticket, sharing a post, or taking a survey. Each challenge has specific instructions and points associated, which provide you with rewards. We want to show y’all some love with exclusive prizes you can earn by completing the challenges. 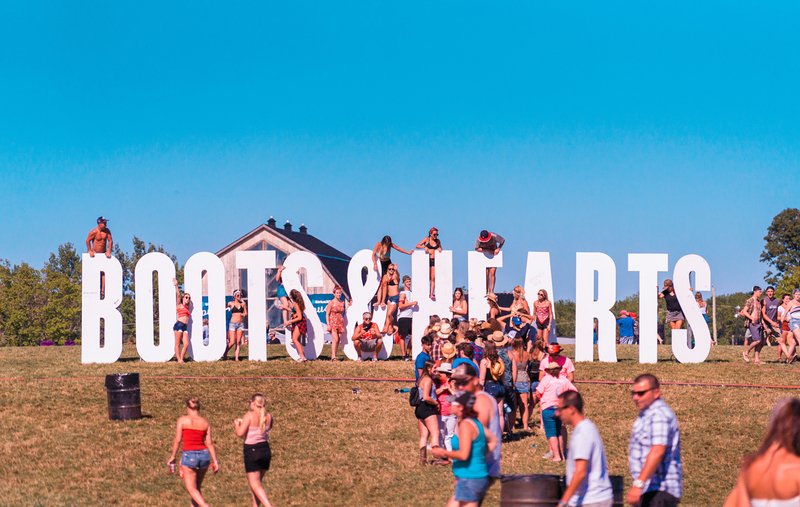 Start earning your way to a FREE #Boots2019 ticket & more! Turn on your notifications! Allowing notifications helps ambassadors to stay connected with special announcements, upcoming rewards, new challenges, team updates, & more. Challenges expire quickly – enable your push notifications to stay in tune with upcoming opportunities & info. Please be sure to allow SocialLadder to access your location while you are using the app. 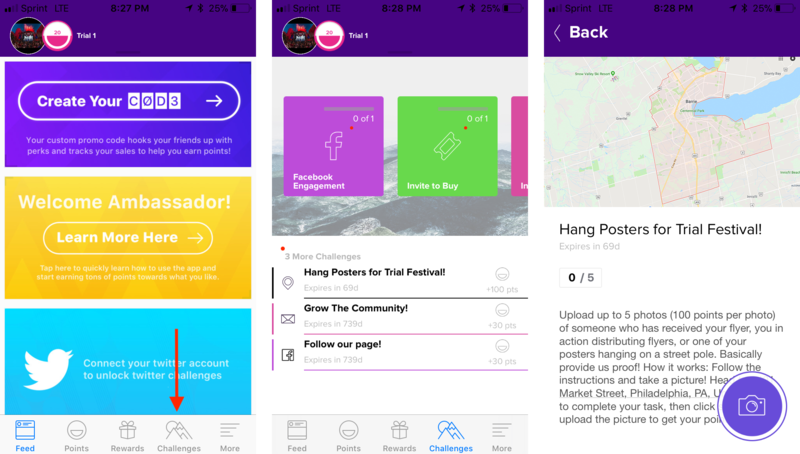 This allows ambassadors to complete location-based challenges like flyering, postering, and more. Rewards include: Admission, sneak peeks, merch and more! You can get your reward once they unlock! Once you redeem a reward, you’ll receive an email with more details! Home Screen: You can see your score and interact with your friends and other members. 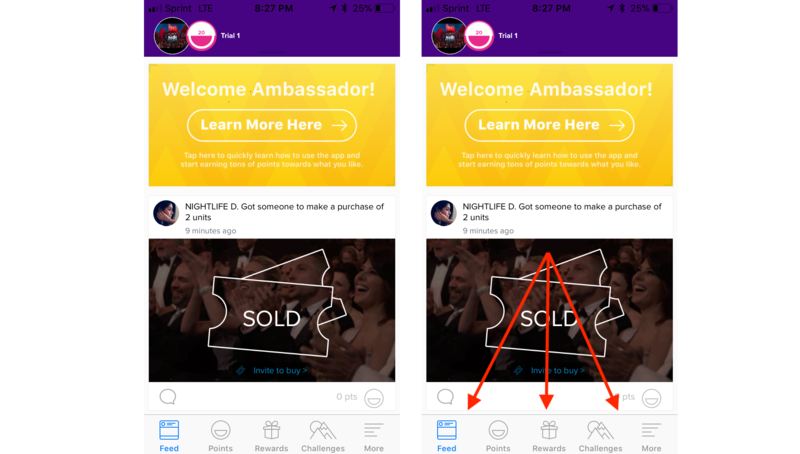 Menu: Your main navigation hub is found in the top left corner of the App. Feed: You can see your score and interact with your friends and other members. Points: Review your current score and how you rank amongst other members. More: Change your name, email and city. You can also sync your social media and turn ON notifications.